[WIFI and BLUETOOTH TABLET] Feel free to enjoy reading ebooks/emails, watching movies, listening music, playing games, surfing internet, chatting with friends through this Wifi Tablet and Pairing with speakers, keyboard, mouse and so on through this Bluetooth Tablet. 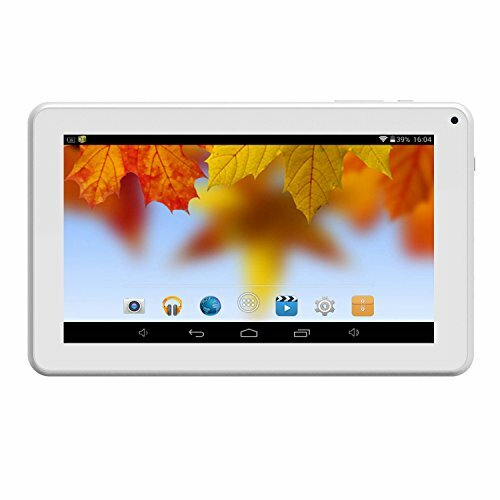 [AFFORDABLE TABLET] Euipped with all basic functions, meets your fundamental need like reading, watching, listenning, chatting and so on. Affordable gift for kids and elders. [LIFE MOMENTS CAPTURING PAD] Android 6.0 Tablet equipped with dual cameras of front-facing resolution 0.3MP and rear-facing resolution 2MP for taking photos and recording video in every special moment of your life. [EXPANDABLE STORAGE TABLET] Build in 1GB RAM 8GB Storage; While can expand to 64GB through Memory card. Offers you sufficient space to download softwares, place games and so on. Ensure of smooth running and unlimited entertainment. [WORRY FREE WARRANTY] Hoozo Tablet Pad has 12-month warranty. If there is any questions, just contact us and we will reply you within 12 hours. If you have any questions about this product by Hoozo, contact us by completing and submitting the form below. If you are looking for a specif part number, please include it with your message.